While we are still catching our breath from the amazing Firstlook Festival, we are proud to announce that we’ll be returning to the Jaarbeurs Utrecht at Dutch Comic Con Winter Edition 2017! Since Dutch Comic Con doesn’t really need an introduction, we’ll be heading straight to the main question: what is We Were Here Too doing between all the cosplay, merchandise and special guests? We enjoyed every second of Firstlook Festival, and that's why we really couldn’t wait any longer for an event to display the latest We Were Here Too updates for you guys. 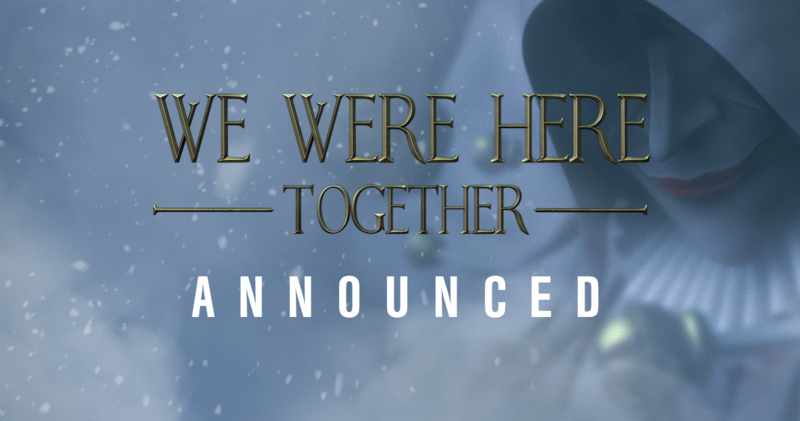 We even got something special planned… A whole new, unreleased part of We Were Here Too will be ready to be played by you and your friend at Dutch Comic Con Winter Edition! So even if you visited us at Firstlook, don’t hesitate to come by and say hi. New gameplay is waiting for you! 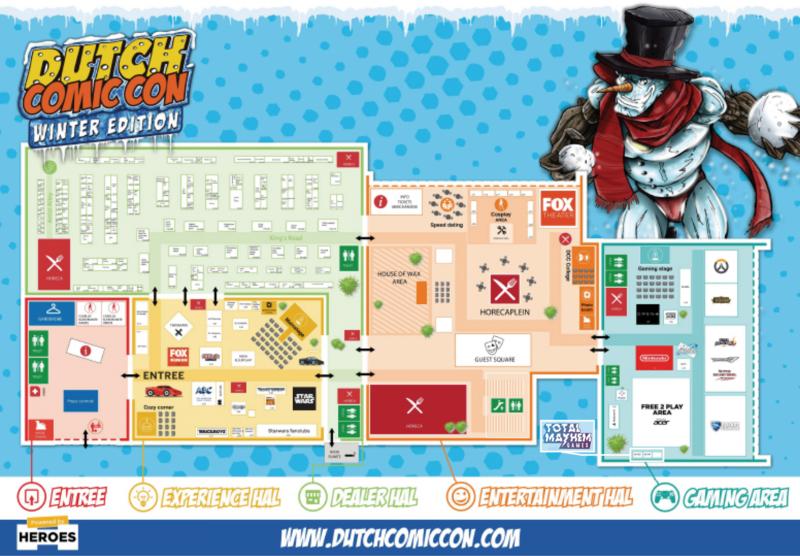 Are you coming to Dutch Comic Con Winter Edition? Let us know! We’d love to meet you or see you again! Down below yo can see where our stand will be at the event. Here you can see a video of our latest visit at Firstlook Festival in Utrecht last October! We will upload a new video after our visit to Dutch Comic Con Winter Edition! See you there! Well, we don’t either. But we have to. And since we are trying to take you with us through the process of making a new game, this subject can't be ignored. We won’t make it too serious though, we promise. Now we are getting closer to the release date than ever, there are more and more points that ask for our attention. Of course, finishing and releasing the game is priority number one, but with a release, a lot of other things should be taken care of. Marketing and promotional activities like events are getting more important to make We Were Here Too known to the public. We can speak from our own experiences when we say that showcasing We Were Here (Too) at an event brings opportunities. INDIGO for instance handed us the possibility to speak to other game studio’s and others that have been in the game industry ‘a little' longer than we are. But when we were talking about ‘bringing our game to an event’, we’re also talking about an investment here. The whole process of making We Were Here Too and everything that comes with making a game (like events) has been one major investment for all of us. We still invest all our time, energy and money in this game to make We Were Here Too an even bigger success than We Were Here, but we have to conclude that we run out of one of the most important investments of the three: money. We can’t offer all everyone who helps any, but we so wish to. We really don’t care that we don’t make any money or get any loan, but it will help if some of our financial burdens could be taken away a little. We are lucky that our investor made it possible for us to achieve what we’ve done so far. Without his help, we wouldn’t have come to this point at all. But since this is our first time dealing with these issues, we couldn’t have foreseen that making a game and showing it off on events would be so expensive. And that’s where you guys come in. We noticed that a lot of our fans, followers, friends and supporters feel the need to support us on a variety of ways. We got a lot, A LOT, of messages asking us if there was a way to donate, support or kickstart us. Our answer always was the same: no. We wouldn't want to take advantage of your goodwill, and we simply didn’t have the possibility for receiving donations. But now, after a long time of doubting: we do! On our website and in this post, you can find a ‘donate’ button. We will receive your donation via PayPal. Every amount helps. We are working day and night to get us into Dutch, but also international, events. We are not asking for your money, but if you’d like to support us, that’s not a problem anymore. We’ll use all of the donations wisely, so we can do more events and showcase We Were Here Too in the best way possible. We have an update regarding the release date. As many of you know we had set the planned release date for We Were Here Too this summer. With the end of summer drawing near we have decided to delay our planned release for We Were Here Too and its’ first chapter. We are now aiming for a release this November with closed beta tests finishing in October. We feel this delay is necessary to provide everyone with an unforgettable experience that is above and beyond what the original game offered! So sit tight for a little longer. We hope you’ll understand and be sure to add We Were Here Too to your wishlist if you haven’t done so already. 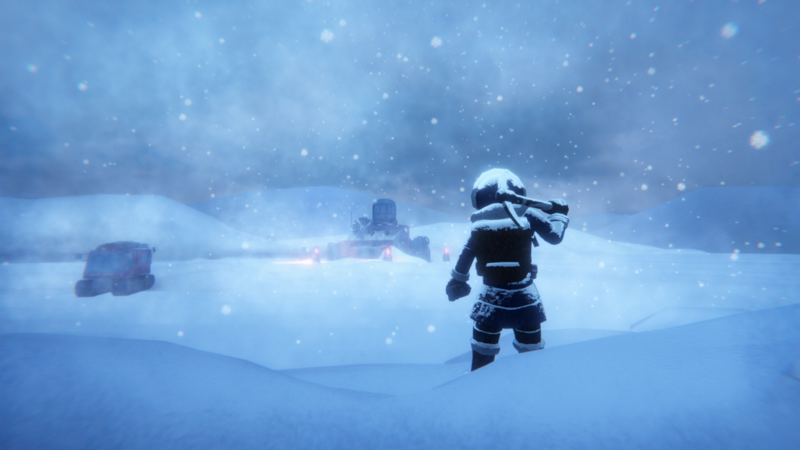 We will continue posting weekly updates about We Were Here Too and the development of the game. We Were Here Too Steam page online! We can finally be bringers of some great news: the We Were Here Too Steam page is finally online! Our apologies for getting your hopes up (too) high last friday. We wanted to give you something bigger, but unfortunately, the process didn’t go as smoothly as planned. But now we’re finally clear to spread the word: the We Were Here Too store page is now online at Steam! In the store page you will find more information on We Were Here Too, and you will also be able to put We Were Here Too on your wish list so you will get a notification when the game is released. Hold on just a little longer, We Were Here Too is on its way!